We’d love your help. Let us know what’s wrong with this preview of A Touch of Stardust by Kate Alcott. When Julie Crawford leaves Fort Wayne, Indiana for Hollywood, she never imagines she'll cross paths with Carole Lombard, the dazzling actress from Julie's provincial Midwestern hometown. Although the young woman has dreams of becoming a screenwriter, the only job Julie's able to find is one in the studio publicity office of the notoriously demanding producer David O. Selzn When Julie Crawford leaves Fort Wayne, Indiana for Hollywood, she never imagines she'll cross paths with Carole Lombard, the dazzling actress from Julie's provincial Midwestern hometown. Although the young woman has dreams of becoming a screenwriter, the only job Julie's able to find is one in the studio publicity office of the notoriously demanding producer David O. Selznick —who is busy burning through directors, writers and money as he begins filming Gone with the Wind. To ask other readers questions about A Touch of Stardust, please sign up. how much of the tidbits about the filming of "Gone With the Wind" were based of fact? To this day, Gone with the Wind remains one of my favorite books and the movie one of only three that I have watched more than once. It was extremely thrilling to find myself once again lost in the wonderful world of that movie, this time having a back seat to its making and some of its stars. Carole Lombard, Clark Gable and a young Vivian Leigh along with the perfectionist David Selznick. So very interesting. Trying to enter this rarified world is a young Julie Crawford from Fort Wayne, Indiana To this day, Gone with the Wind remains one of my favorite books and the movie one of only three that I have watched more than once. It was extremely thrilling to find myself once again lost in the wonderful world of that movie, this time having a back seat to its making and some of its stars. Carole Lombard, Clark Gable and a young Vivian Leigh along with the perfectionist David Selznick. So very interesting. Trying to enter this rarified world is a young Julie Crawford from Fort Wayne, Indiana who wants to be script writer. Carole Lombard will take this young woman under her wing and Julie will fall in love with a young Jewish man Andy, Selznick's assistant. Yet, everything is not sweetness and light because Hitler is in power and war will soon be declared. 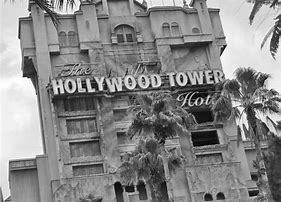 The author did a great job contrasting the glitter and glamour of Hollywood, where things were often make believe and larger than life, with the horror of what was happening overseas. 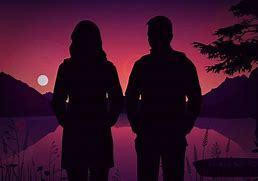 Using Andy, whose grandparents have disappeared from Germany, the darkness of reality threatens the make believe atmosphere of making movies and the relationship between Andy and Julie. Julie, will change and grow throughout this novel, often with Carole's wise words, and become a force of her own. A joy to read, a book that reads light but with a deeper underlying message. The author afterwards does a wonderful job of updating the reader on the success of Gone with the Wind as well as it's key players. There is even a brief appearance by Margaret Mitchell. I've such mixed feelings about Kate Alcott's A Touch of Stardust that I hardly know where to begin. There are things I loved about it, but there are things I disliked in equal measure. I suppose I should make it clear that I think Alcott had a good idea here, several of them in fact. Problem is they don't make a remotely cohesive story when packed like sardines in a single narrative. I'm sorry, but someone needed to take a pair of scissors to this piece and break it down into two or three separate novels. Fleshed out and streamlined, I'd have easily given every one of Alcott's ideas four stars if not more and I'm one of the stingiest reviewers I know. I'm not exaggerating when I say Gone With the Wind is one of my favorite movies, so it should come as no surprise that I think Alcott was onto something in fictionalizing the details of its filming. I enjoyed the scenes Alcott created, but I couldn't help wondering why Julie spent so much time on set. Julie doesn't work for Vivien Leigh, Clark Gable, Leslie Howard, Olivia de Havilland, Hattie McDaniel or Butterfly McQueen. I hate to point out the obvious, but Julie spends the bulk of the novel attached to Carole Lombard so her almost constant presence makes little sense in the grand scheme of things, especially as her employer is so often elsewhere. Speaking of Lombard, I felt the actress a vivid and colorful addition to Julie's world. That said, however, I didn't find her role in the story even slightly convincing. Carole has the glamour and personality, but her friendship with Julie lacked validity and her position as mentor seemed preposterous when Alcott's starry-eyed would-be writer has access to Academy Award winner Frances Marion. I understand the author's fascination with Lombard, but if she wanted to write about Mrs. Gable she should have let the actress take center stage. Marion plucking Ms. Crawford from an obscure secretarial existence would have been a better angle, believable and within the realm of Julie's ambition. How Andy's story line failed to make the jacket description is beyond my comprehension. His personal ties to the conflict in Europe, the anti-Semitism he faces in Hollywood and his frustration with an industry that refuses to acknowledge the Nazi threat was solid gold. Alcott could have played that for days. Julie and Andy working on a script with the support of Lombard and Howard, battling to have their voices heard... I get excited just thinking about such a setup, but as it stands Alcott doesn't use the material to its best advantage and sadly regulates it to minor plot points that ultimately lack purpose or resolution. This review is turning into a novel in and of itself, but if you're still with me, please understand my concerns aren't limited to the story's construction. Alcott's narrative depends on an overwhelming amount of implausible coincidence and that bothered me to no end. Julie's first job in Hollywood just happens to be with David O. Selznick the day he begins filming Gone With the Wind? She gets fired hardly three pages in and just happens to bump into Carole Lombard who is so smitten with Julie's gumption that she immediately shelters the floundering Mary Sue under her protective wing? Excuse my impertinence, but gag me. The situation is impossibly far-fetched and even if it weren't, it bears far too much similarity to Tess Collins landing a position with Lucile Duff Gordon the very day Titanic sets sail in the opening scenes of Alcott's The Dressmaker. It's the same scenario in different trimmings and I was no more impressed this go round than I was the last. A girl from Indiana goes to Hollywood and ends up taking care of Hollywood royalty in A Touch of Stardust. The reader gets a behind the scenes look at the making of Gone With the Wind and the private, slightly dysfunctional lives of Carol Lombard and Clarke Gable. It was fun learning about what went into the creation of Gone With the Wind. Those parts of the book sort of read like a Hollywood-fan magazine, but better written. The dialogue in this book is snappy and smart, like a Bogie and Bacall fi A girl from Indiana goes to Hollywood and ends up taking care of Hollywood royalty in A Touch of Stardust. The dialogue in this book is snappy and smart, like a Bogie and Bacall film. I loved the heroine and how she pulled herself up by the bootstraps to make it in Hollywood at a time when very few women did. Overall, it's a great story. I absolutely loved this book up until the ending which I hated. We discussed this read in my book club and some folks liked the ambiguous feel of the ending. I was not one of those. Julie Crawford's conservative parents in Fort Wayne, Indiana expect her to come home and get married as soon as she graduates from Smith College. Instead Julie takes off for Hollywood, hoping to become a screen writer. 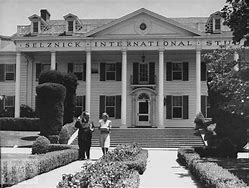 Julie gets a room in a boarding house and lands a 'gofer' job at Selznick International Pictures, the studio where producer David O. Selznick is making 'Gone With the Wind' (GWTW) - one of the most famous movies of all time. While working at the film studio Julie meets Selznick's assistant producer Andy Weinstein, who introduces her to the famous screwball comedy actress Carole Lombard. Julie is soon dating Andy and working as Carole's personal assistant. From this vantage point Julie is a witness to the romance between Carole Lombard and Clark Cable. She's also an occasional observer on the set of GWTW, in which Clark is playing Rhett Butler. All this might be ideal except that Clark is having trouble wrangling a divorce from his estranged wife; the Nazis are waging war in Europe, and Andy - who's Jewish - is worried about his grandparents in Berlin; and Julie's parents would be appalled by her dating a Jew. The story is largely about Julie's thorny relationship with Andy and the formidable challenges of making GWTW. 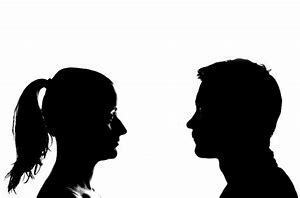 In the beginning Julie is immature and insecure, wanting to know more about Andy's past than he's willing to share. Julie's huffiness about Andy's reticence - and an incident involving anti-Semitic drunks - puts a crimp in the romance....but they carry on. Working in Hollywood gives Julie the opportunity to meet Frances Marion, a screenwriter who's willing to give other women a leg up. Encouraged by both Frances and Carole, Julie starts writing a movie script. This leads to some job opportunities.....as well as a run-in with the 'casting couch' mentality of a powerful man in the industry. Meanwhile, the studio is in a constant uproar about GWTW. Selznick is always firing and hiring people; Vivian Leigh - who plays Scarlet O'Hara - is tetchy about her breasts being taped together to give her 'cleavage'; there's disagreement about the movie's ending; and so on. Even worse, racism towards the black actors results in Clark threatening to quit....and the film's black stars are not welcome at the premiere in Atlanta. 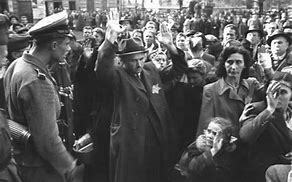 As all this is going on the Nazis are storming across Europe, forcing Jews from their homes and putting them in concentration camps. Nevertheless, Hollywood bigwigs - who distribute movies in Germany - willfully 'see no evil' and refuse to criticize the Führer or the war. This theme runs through the book and drives the behavior of some of the characters. I liked the relationship between Carole and Clarke, who call each other 'Ma' and 'Pa' and share an irreverent attitude to life. When they move to a ranch Carole decides she needs 50 horses, a tractor, and lots of animals.....though she has no idea what to do with any of them. Overall I enjoyed the book and thought it made good points about 'old' Hollywood's treatment of black people and its profit at all costs attitude. I'd recommend the book to readers who like romances and/or historic fiction about the movie industry. I felt like I was reading a Hollywood gossip magazine or just there snooping around behind the scenes on a Hollywood set and I have to admit it was fun . It felt like a bit of a guilty pleasure - an easy read with not much depth, although the war in Europe and the fate of the grandparents of one of the characters loomed in the background. I love Gone With the Wind both the book and the movie and was taken with Clark Gable . The main character Julia Crawford , an aspiring screen writer wasn't a character I could really connect with for some reason . It was Carole Lombard who stole this show and it was mainly her presence in the story that made this an entertaining read. This is for anyone in love with old Hollywood or Gone With the Wind . I have read some other works of fiction that delve into the making of the movie Gone With the Wind, and always enjoy them a great deal. This is no different, maybe a bit better. It describes the auditions for the role of Scarlet, when practically every actress in Hollywood tried out. 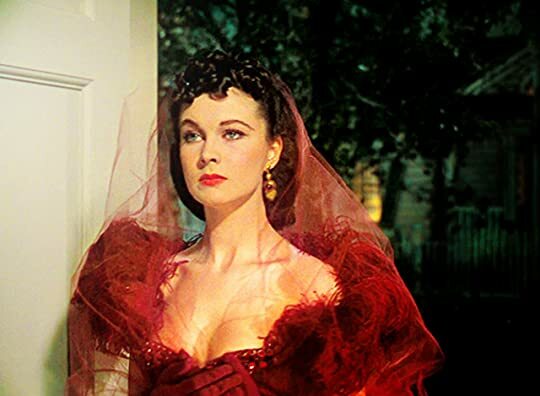 I love watching old clips of those tryouts and really, no one came close to Vivian Leigh. The fly on the wall watching all this is Julie from Fort Wayne, IN, there to try to land a screenwriter job; but first she get I have read some other works of fiction that delve into the making of the movie Gone With the Wind, and always enjoy them a great deal. This is no different, maybe a bit better. It describes the auditions for the role of Scarlet, when practically every actress in Hollywood tried out. I love watching old clips of those tryouts and really, no one came close to Vivian Leigh. The fly on the wall watching all this is Julie from Fort Wayne, IN, there to try to land a screenwriter job; but first she gets hired as Carole Lombard's personal assistant. Ms. Lombard (also from Fort Wayne) is Clark Gable's latest love, and she's quite a character, my favorite in the book. Certainly kept things interesting, moreso than bland Julie, who just wasn't fleshed out very well. The book goes from casting to "It's a wrap" to the premier in Atlanta. The war in Europe, before Pearl Harbor, provided a background and the reason why the film was so important as a diversion for the American public. "A Touch of Stardust" takes us to the Hollywood sets of the spectacular movie "Gone with the Wind". A fictional character, Julie, is hoping to break into screenwriting. She gets a behind-the-scenes look at movie making when actress Carole Lombard hires her as an assistant. The lively, outspoken Carole is romantically involved with actor Clark Gable (who plays the unforgettable Rhett Butler). Producer David O. Selznick keeps tight control over the production of "Gone with the Wind", and Julie's bo "A Touch of Stardust" takes us to the Hollywood sets of the spectacular movie "Gone with the Wind". A fictional character, Julie, is hoping to break into screenwriting. She gets a behind-the-scenes look at movie making when actress Carole Lombard hires her as an assistant. The lively, outspoken Carole is romantically involved with actor Clark Gable (who plays the unforgettable Rhett Butler). Producer David O. Selznick keeps tight control over the production of "Gone with the Wind", and Julie's boyfriend, Andy, works long hours for the demanding producer. Meanwhile, war is brewing in 1939 Europe, and Americans are worried that the United States will be pulled into the battle. Andy fears for his Jewish family members living in Europe. One sees the contrast between the glamour of Hollywood, and the reality of prejudice and war. So...I was a little bit drunk when I started reading this, so I got involved with the story, which is charming, before I noticed the writing, which is not the greatest. None of the made-up characters are especially interesting either, but the whole thing is saved by the gloriousness that is Carole Lombard. Carole Lombard! Why did you have to tragically die in a plane crash instead of being, I don't know, my awesome honorary great-aunt or something? It could totally have happened, my grandparents So...I was a little bit drunk when I started reading this, so I got involved with the story, which is charming, before I noticed the writing, which is not the greatest. None of the made-up characters are especially interesting either, but the whole thing is saved by the gloriousness that is Carole Lombard. Carole Lombard is my favourite Old Hollywood actress and I love everything about the era so I was pretty excited to read this one. Unfortunately the main character just didn't do anything for me. The story also followed the most basic romance template you can find and I couldn't wait to be done with it. People who enjoy romance novels will probably enjoy this one a lot more then I did. This would be the kind of book that most people would think that I would pass on. And I think if I had been given this with the typical Book Club Word of Mouth treatment, I would have passed on it, because given what I typically read, this isn’t up that alley. But here’s the thing: I really like old movies. I don’t watch as much of them as I would like to say I have, but I do really like the classics. (Long story short, back when I was in high school, my parents had the brilliant idea of marathon This would be the kind of book that most people would think that I would pass on. And I think if I had been given this with the typical Book Club Word of Mouth treatment, I would have passed on it, because given what I typically read, this isn’t up that alley. But here’s the thing: I really like old movies. I don’t watch as much of them as I would like to say I have, but I do really like the classics. (Long story short, back when I was in high school, my parents had the brilliant idea of marathoning the then-AFI 100 Greatest Movies and Greatest Comedies lists. I took a Film Crit class a few years later in college and got stared at when I mentioned I had a hard time figuring out a movie to analyze that I hadn’t already seen out of fifty films mentioned on the class syllabus. That, and our first week was watching Sullivan’s Travels and I was the only person who had seen that film prior to it.) I’m running out of DVR room at the moment because it’s the second best month for TCM programming. Add that this is a book about Gone With the Wind which is one of my mother’s personal favorite movies, so I’ve seen it about five or six times. (Well, three times all the way through.) And behind-the-scenes scandals and inner Hollywood workings. In other words, sign me up. I really enjoyed this—it’s not trying to be a deep historical epic of what it was like to make cinematic history, and at the same time, it’s really not a rose-tinted look of what the author thought that old movie stars were really like behind the scenes. This is a book about a girl trying to make it in Hollywood, but through her own means and trying to play in a man’s world. Because although Julie is spending her time being Carole Lombard’s new best friend, she actually has her own story that doesn’t rely being an observer to the events going on around her. Alcott does fall into this trap a few times throughout the course of the plot (particularly during the scenes of filming Gone With the Wind), but it’s balanced enough that it doesn’t bother me. I agree with Alcott’s note that Julie is an Everywoman—she’s no particularly special, but she’s going to try to make it as a writer in Hollywood. First of all, I love the fact that Julie is a writer, and especially in old Hollywood, where she would have had at least a chance to make her way up relying more on her inguenity. I love that Julie’s solution to get substantive work is go and rework a script instead of trying to peddle her own work, and while it’s not the greatest screenplay written (or rather, bookends of a screenplay), she realizes the importance of getting out there instead of creating her one great work. I actually like that this deals with Julie’s financial situation and that she’s really being supported by her parents—it doesn’t come up much until the end, but I like that the touch of Julie has to think about her paychecks when reaching for her dream. I also really liked her relationship with Andy. After I sat back and thought about it for a while, I think what appeals to me about this is that Julie and Andy’s relationship isn’t based on Julie being the ingénue and Andy being the big Hollywood player. And I liked that they had a relationship—that the biggest fraction between them is Julie’s ignorance towards anti-Semitism and telling Andy to brush it off. I liked that we see Julie as flawed, and that she’s called out on it, but their relationship problems aren’t centered on “OMG what is with this other woman you’re with all the time?” There are times when it comes up, but mercifully Alcott nips it int the bud before I start to get angry. As for the ‘gimme factor’ of the book—the making of Gone With the Wind and the Carole Lombard/Clark Gable affair during filming—I didn’t think it was bad either. One of my pet peeves when it comes to historical fiction squarely centered on actual people is that there’s a tendency to drop names and liberally winking at the audience and saying “LOOK DID YOU GET THE REFERENCE? You know how things are going to end up but they don’t know but we’re going to say that “Oh, it’ll never catch on” because IRONY.” It works here, not just with the fraught tension of the film set whenever Julie visits, but also the name-dropping. It really does fit into the atmosphere of the time period, that Julie would be dropping names left and right, but if you’ve read anything about David O. Selznick and even anything about the Golden Age of Hollywood, it all works. I don’t want to say that I went into this expecting not to like it as much as I did, but it’s the truth. (And really that’s more of a reflection on my experience with reading Literary Historical Fiction, rather than my reaction towards the book itself. And I like that it’s a light read with a little meat to it, and that it doesn’t try to be oversimplified to the readers in regards to the time period. And I have to whole-heartedly agree with Alcott’s ending note—while the end of the book does lead into sad things (Julie breaking up with Andy as he goes off to Europe to find his imprisoned family; the inevitability that Lombard will die in four years, leaving behind a grief-stricken Gable), I like her instance that this is a happy ending. It might not be a big swooning Hollywood ending, but I like the implication that Julie is going to achieve her dream of being a screenwriter and that maybe one day she and Andy will end up together. I really enjoyed this book, as surprising as that might be to some people, and it’s one I would recommend. (Given that I handed it over to my mom after I finished it.) If you like the premise, I would say definitely go for it. I was smitten by this book, in spite of it's flaws and implausibilities! Gone with the Wind is one of my favorite movies (and books! ), so I was very intrigued with the idea of a "behind the scenes" novel. I really just fell into the story and was hooked, even knowing that the chances that things could happen the way they were written were very small. I didn't get bogged down with that and let myself be moved with the flow of the story. I found the true historical characters and the book originals to be interesting and enjoyable to follow. I sadly knew little of Carole Lombard, and found her to be quite colorful. Julie's existence and her "luck" at the studio was truly unparalleled, but fun to think it could be possible. Clark Gable, Vivien Leigh--what fun to picture them in their splendour, shooting scenes. Lots of fun cameos by old Hollywood. I liked the neutral ending as well, and the authors note that picked up briefly on the major characters lives, telling what became of them. On audiobook. And read badly. Which is odd, because I've enjoyed this reader before. Maybe she was trying to be too screwball comedy-sounding, or maybe she had contempt for the characters? Anyway, it almost made me quit the book, which I was really excited to read. By about a third of the way through, I either got used to what she was doing or she toned it down a little bit. I wanted to read this because it was set in the midst of the filming of Gone with the Wind, and especially focused on the On audiobook. And read badly. Which is odd, because I've enjoyed this reader before. Maybe she was trying to be too screwball comedy-sounding, or maybe she had contempt for the characters? Anyway, it almost made me quit the book, which I was really excited to read. By about a third of the way through, I either got used to what she was doing or she toned it down a little bit. I wanted to read this because it was set in the midst of the filming of Gone with the Wind, and especially focused on the romance between Clark Gable and Carole Lombard. I loved that book- read all 1036 pages of it again and again between the ages of, say, 9-13, and saw the movie several times during those years, as well. I can see the racism in both the film and book perfectly well now, but what can I say? I was really young and my character was unformed. In spite of the reader, I quite enjoyed all the tidbits about Cukor and Selznick, Vivian Leigh and Leslie Howard, and especially about Gable and Lombard. There were all kinds of intriguing bits-- Gable hated racism and refused to do the movie if there were separate toilets for black and white cast members. They describe how Gable, a manly man, really had to be persuaded to cry when Rhett's heartbroken about Scarlett's miscarriage. 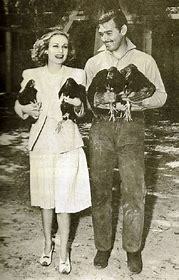 Gable and Lombard lived on a ranch where they had tons of dogs and horses and chickens, a refuge from Hollywood. And Lombard truly is a lovely character in this book, warm, impulsive, a little crazy, but with some earned wisdom, too. Thank you to my Goodread friends for rating this book. Many of started your review with, "if you're a fan of Gone with the Wind...." Well, that cinched it for me since that is one of my all-time favorite books AND movies. I appreciated the 4 main story lines in this book: the romance of Clark Gable and Carole Lombard; the trials and tribulations of making the movie; female writers in male-dominated Hollywood; and, of course the story of Julie Crawford and Andy. My favorites are the first 3. In t Thank you to my Goodread friends for rating this book. Many of started your review with, "if you're a fan of Gone with the Wind...." Well, that cinched it for me since that is one of my all-time favorite books AND movies. I appreciated the 4 main story lines in this book: the romance of Clark Gable and Carole Lombard; the trials and tribulations of making the movie; female writers in male-dominated Hollywood; and, of course the story of Julie Crawford and Andy. My favorites are the first 3. In the last one, the dialogue is too scripted and perfect for a budding romance, whereas the dialog for Carole and Clark is spot-on. The comparison between reality and Midwest values with movie making almost teetered on the edge of being a brick-in-the-face. The musings of Julie as she learned the Hollywood ways did tether the comparisons enough to keep it worth reading. There are many stereotypical pompous males in this story - some were acceptable, but some seemed just that - stereotypical. Maybe there were that many pompous asses in Hollywood at the time, I don't know. And then there is Julie's father...very old-school. He was one character I definitely did not like - but I think that was the point. Julie leaves the midwest for Hollywood. She doesn’t want to be an actress like all the other young women. She wants to be a screenwriter, a profession very few women have been successful at during Julie’s lifetime. She lucks out and gets a job as Carole Lombard’s assistant. Carole’s significant other just so happens to be Clark Gable. Carole is on the set during the filming of Gone With the Wind. For this reason, Julie also gets to be on the set. Julie’s story unfolds during the creation of this Julie leaves the midwest for Hollywood. She doesn’t want to be an actress like all the other young women. She wants to be a screenwriter, a profession very few women have been successful at during Julie’s lifetime. She lucks out and gets a job as Carole Lombard’s assistant. Carole’s significant other just so happens to be Clark Gable. Carole is on the set during the filming of Gone With the Wind. For this reason, Julie also gets to be on the set. Julie’s story unfolds during the creation of this epic film. I thought this was a very smart story line. We get a love story as we follow Julie along as she strives to make her dreams come true. 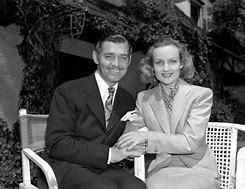 We get a bit of a history lesson regarding Carole Lombard and Clark Gable’s relationship. And most interesting of all, the little tidbits related to the making of Gone With the Wind. It took me a while to connect with the main character Julie. But I eventually warmed to her story. Ms. Alcott has created a character who is smart and ambitious. Writing this tale with Gone With the Wind as the backdrop made the book all that more interesting. Nicely done! Another book where the author has two good ideas and yet mashes them together poorly. The larger book, about the making of "Gone With the Wind" as seen through the eyes of a sweet young thing new to Hollywood, is quite good. The mash-in, about her Jewish boyfriend/lover's awareness and angst about the dawn of Nazi Germany, is not so good and seriously detracts from the former. How Julie gains confidence, develops a career and becomes friends with Carole Lombard (and Clark Gable) is a great story Another book where the author has two good ideas and yet mashes them together poorly. The larger book, about the making of "Gone With the Wind" as seen through the eyes of a sweet young thing new to Hollywood, is quite good. The mash-in, about her Jewish boyfriend/lover's awareness and angst about the dawn of Nazi Germany, is not so good and seriously detracts from the former. How Julie gains confidence, develops a career and becomes friends with Carole Lombard (and Clark Gable) is a great story, as is the backstage part of the making of the movie. Her re-write of a movie was a fun section, and more of that would have been even more fun. But Andy's reaction to what was going on in Germany, while real and probably representative of what was going on for people in Hollywood at that time, seriously detracted from Julie's story and somehow lessened it. Започнах да чета тази книга без никакви очаквания.Попадна ми случайно пред погледа, и я взех заради корицата, върху която беше поместена снимката на Кларк Гейбъл . А също и заради резюмето, което ми подсказа , че става дума за снимките на "Отнесени от вихъра" - моят най-любим филм за всички времена. Останах обаче много приятно изненадана. Много интелигентно написана е, страхотни диалози. Позволих си да повярвам , че дори тези велики актьори, са вършели съвсем незначителни на пръв поглед , човешки Започнах да чета тази книга без никакви очаквания.Попадна ми случайно пред погледа, и я взех заради корицата, върху която беше поместена снимката на Кларк Гейбъл . А също и заради резюмето, което ми подсказа , че става дума за снимките на "Отнесени от вихъра" - моят най-любим филм за всички времена. Останах обаче много приятно изненадана. Много интелигентно написана е, страхотни диалози. Позволих си да повярвам , че дори тези велики актьори, са вършели съвсем незначителни на пръв поглед , човешки неща. А освен това в крайна сметка става дума за една любовна история, която остава с отворен край. Every once in a while you need a book to simply get lost in, a good story that transports you to another time and place. 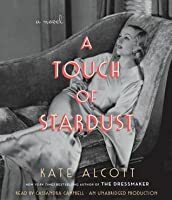 Kate Alcott's A TOUCH OF STARDUST is one of those books, a satisfying combination of historical fiction and Hollywood glamour. Taking us behind the behind the scenes of GONE WITH THE WIND, Alcott expertly reveals the dramas and conflicts among the actors and directors who gave us one of greatest movies ever made. Anyone who is a fan of Hollywood in the Golden Age, or of the movie Gone With the Wind (GWTW) and any or everyone who starred it in should probably read this book. Even though it is fiction, and the story is seen through the eyes of a fictional character, it feels true. It feels like you are there, in those heady and tumultuous days just before the outbreak of World War II, watching the impossible come to life. Because that’s what the movies do - they make something nebulous into a script and then a movie - so the unreal becomes real for everyone to see. We follow the making of Gone With the Wind through the eyes of Julie Crawford, a young woman who has come from Ft. Wayne Indiana to make her fortune in Hollywood. Not, thank goodness, as an actress, but as a screenwriter. Julie comes from a wealthy and influential family back home, but she does not want that same lifestyle for herself, along with its requirements of marrying the “right” man, raising her children the “right” way and keeping herself occupied by sitting on the boards of the “right” charities. She wants a life of her own, on her own terms. And Hollywood is the place where people come to reinvent themselves. So off she goes, with a one-year deadline from her parents to either make it or come home. Julie knows that she won’t be coming home, but her parents are of the impression that the girl who leaves will be the same girl they can guilt into submission in a year. That never happens. Time and circumstances change who we are. We grow up. And so does Julie. She starts out as a mimeograph girl in the publicity department, but catches the eye of Carole Lombard. The two former Ft. Wayne girls hit it off, and the story takes flight. We all know that Gone With the Wind was a huge success. (Adjusted for inflation, it is still the most successful film in history) But while it was being made, the picture was a huge gamble. There were a lot of people who wanted the producer, David O. Selznick, to fail, and fail big. He was a tremendous micro-manager (to use today’s term) and drove everyone to exhaustion with his demands - including himself. But the central figure in this story was not actually in GWTW. Carole Lombard was actually the cause of some of the publicity department’s bigger nightmares, which is how Julie meets Carole. Hollywood history remembers Gable and Lombard as one its great real-life romances. But when GWTW begins, they are living together while Gable is in the throes of divorce from his first wife. This violation of the morals code then in force, as well as Lombard’s joy in flaunting it in everyone’s face, drove the publicity people crazy. But Julie Crawford comes to Hollywood with her eyes wide shut. She thinks she knows what she is getting into, but of course she doesn’t. Her eyes get opened in every possible way, as she breaks out of her mold and learns the ropes. Through her friendship with Lombard, she also sees the insider’s view of Hollywood that mere spectators don’t get to see. It’s Julie’s sisterhood with Lombard that gives her an entree into the business, and the screenwriter Frances Marion who gets her the first rung up the stair of scriptwriting. And on the brink of World War II, in the steaming hothouse environment of making one of the most expensive and most successful films ever made, Julie falls in love with someone that her parents would find totally unacceptable - and Julie needs to decide who she really is. Escape Rating A: In case you can’t tell, I loved this one. It’s a story that steps into another world. Actually two other worlds, because the making of Gone With the Wind is a world onto itself. 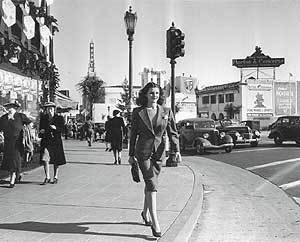 Golden Age Hollywood is also a separate world. The movie-making machinery was at its heyday in the 1930s, and it was trying desperately to ignore the growing clouds of war on the horizon. Antisemitism was also rampant in Hollywood, and all over the country. This is both in spite of and because of the number of studios owned and managed by Jews in the pre-war years. The knowledge of what was happening in Europe under Hitler, and the fears that the U.S. might get dragged into another war at least in part as a way of combating the treatment of Jewish people in Nazi Germany, just added fuel to the fire. This is brought home to readers in the story through Julie’s boyfriend Andy. His grandparents are shipped to the Dachau concentration camp, and he does not know the fate of his brother in Paris. He faces antisemitism at home and a growing fear for his family that will be realized. Then there is the Gable and Lombard romance. As Carole Lombard’s friend and confidant, Julie has a front roar seat for the scenes of what appears to have been a true-life love story. Julie sees Gable and Lombard as a romantic couple who, even though they have their ups and downs, have forged a true relationship in the midst of everything fake about Hollywood. (That readers know the future, and Lombard’s death in 1942, makes the scenes between the two Hollywood icons all the more poignant). Julie, in many ways, stands in for us. While she does have her own story, an important part of her function as a character is to give us eyes to see this world through. She is able to see both the tinsel and the dross that it covers, and she’s someone you’d like to have a drink or a meal with. However, my favorite scene in the story is where the famous (and quite real) screenwriter Frances Marion gives a mentoring session and coaching class to a group of young women, including Julie, who want to become screenwriters just like Frances. She holds up an Oscar (her own) and shows the women the back of Oscar’s head. "A Touch of Stardust" is a fun look back at Hollywood during the days leading up to World War II. A fictionalized account around the production of "Gone with the Wind," (one of my favorite movies of all time!) the author does an amazing job of creating a story around what it was like to be a young woman in Hollywood at the time. 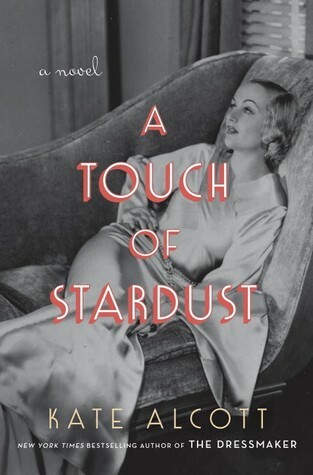 I love that it is almost a "memoir" of the main character, Julie Crawford, and her life with Carole Lombard and Clark Gable, two of the most high-profile Hollywood stars "A Touch of Stardust" is a fun look back at Hollywood during the days leading up to World War II. A fictionalized account around the production of "Gone with the Wind," (one of my favorite movies of all time!) the author does an amazing job of creating a story around what it was like to be a young woman in Hollywood at the time. I love that it is almost a "memoir" of the main character, Julie Crawford, and her life with Carole Lombard and Clark Gable, two of the most high-profile Hollywood stars of that day. While it was interesting to follow the "Gone with the Wind" story, the improbabilities of all that happened to young Julie Crawford made this book a bit hard to believe. Julie Crawford arrives in Hollywood, a greenhorn from Indiana, and almost immediately becomes a close friend of actress Carole Lombard, who opens a lot of doors for Julie. Although the book was fairly well written the plot was just a little too fluffy for me. This novel, which is set during the film of GONE WITH THE WIND in 1939, kind of felt slight to me from the very start. While I'm into the classic Hollywood era, I'm afraid this book felt way too superficial and frankly hard to belief with its tale of industry newcomer who is suddenly friends with Carole Lombard & writing scripts. The entire book is wisp thin, leaning hard against the nostalgia from the era that many people love...myself included. Thank you to Doubleday Books and netgalley for this arc. look at that cover! and the rest does not disappoint either! I loved reading gone with the wind and old Hollywood is fascinating on its own but together its dynastic. you will fall in love with all the characters and i wish the book was longer! Thoroughly enjoyed the discussion of the making of Gone With the Wind but the dialogue between the main fictional male character to the female character was just too much...enough already with the "Kid"
Gone With The Wind is one of my favorite books, so when I heard about this story of a woman working for actress Carole Lombard, who is in a relationship with Clark Gable during the filming of the movie, I knew I had to read it. Julie Crawford is a young woman from the Midwest who goes to Hollywood to fulfill her dreams, not of becoming an actress but of becoming a screenwriter (refreshing!). At times naïve, Julie is also practical and headstrong, except when it comes to her relationship with pro Gone With The Wind is one of my favorite books, so when I heard about this story of a woman working for actress Carole Lombard, who is in a relationship with Clark Gable during the filming of the movie, I knew I had to read it. Julie Crawford is a young woman from the Midwest who goes to Hollywood to fulfill her dreams, not of becoming an actress but of becoming a screenwriter (refreshing!). At times naïve, Julie is also practical and headstrong, except when it comes to her relationship with producer's assistant Andy. The novel follows two romances and it was interesting to see the juxtaposition between the rocky relationship of "regular people" Julie and Andy and the idyllic relationship of actors/celebrities Lombard and Gable. Lombard's character sparkles; she is happy and carefree, and I couldn't help but love her. The behind-the-scenes movie tidbits were fascinating and well-researched. From the numerous script rewrites, to the building of the sets, to the casting of the roles, to the filming of iconic scenes, the world of Gone With The Wind really came alive (and made me want to see the movie again!). It was such an immersive look at how movies are made and how books are translated into films. If you're a fan of "Old Hollywood," I highly recommend this book! First off I need to tell you I am a huge classic movie fan; I think movies made before 1950 are the best movies out there. That is why I requested this book from edelweiss but then I saw that Cassandra Campbell narrates it so I waited for the audiobook. I loved all the insider info into the fights, casting, script writing, censors and producers that went on during the filming of this movie. I am so glad Louis B. Mayer didn’t get his way and that David O. Selsnick filmed the ending he wanted becau First off I need to tell you I am a huge classic movie fan; I think movies made before 1950 are the best movies out there. That is why I requested this book from edelweiss but then I saw that Cassandra Campbell narrates it so I waited for the audiobook. I loved all the insider info into the fights, casting, script writing, censors and producers that went on during the filming of this movie. I am so glad Louis B. Mayer didn’t get his way and that David O. Selsnick filmed the ending he wanted because it was the best ending possible! Julie Crawford a young writer from Indiana comes to Hollywood to write for the movies, on her first job she doesn’t get a message to one of the directors of Gone With the Wind fast enough and is fired on the spot, however she has just met a beautiful woman who says she will help her out. When someone asks if she knows who the lady is she admits she looks familiar but can’t place her; the woman turns out to be Carole Lombard soon to be wife of Clark Gable who stars and Rhett Butler in the film. What I found a little weird about these scenes was if you are going to Hollywood to write for the movies wouldn’t you at least know a little about the stars you hope to write for? But she and Carole become very good friends and I loved all the scenes of them together Carole seemed like a very down-to-earth person. Also on that day she meets Hank Weinstein and they start a relationship even though he is Jewish. This is 1938-39 so Hitler is starting his holocaust of the Jewish people including Hanks grandparents so he is having a tough time of it. 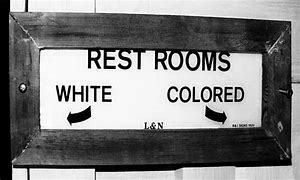 I was impressed with Gable’s civil rights ideals (I really hope they were true) when he sees that the bathrooms and other places are segregated he has a fit and fights for their rights of non-segregation. 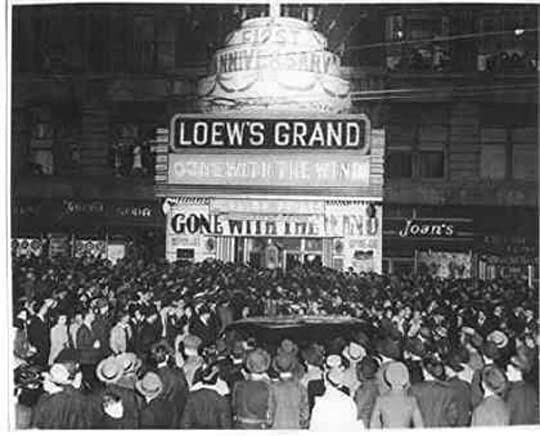 Including almost not going to the premier because Hattie McDaniel and Butterfly McQueen would have to use a back door and sit in the colored section, even though it was Hattie who convinced Gable to go even when she boycotted the event. Cassandra Campbell’s narration was as always fabulous, I like how she made Clark gruff but didn’t try to imitate his voice, every character had their own cadence and tone and you were never left guessing as to who was talking. If you are a fan of old Hollywood, and /or Gone With the Wind I think you will enjoy this book very much. I have enjoyed all of Alcott’s books so if you haven’t read anything by her before give her a try you’ll be glad you did! Kate Alcott is the pseudonym for journalist Patricia O’Brien, who has written several books, both fiction and nonfiction. As Kate Alcott, she is the author of The Dressmaker (a New York Times bestseller), The Daring Ladies of Lowell, and A Touch of Stardust. She lives in Washington, D.C.